David Cavill has been a Fellow of the Institute of Directors since 1984 and is an experienced writer and broadcaster on all subjects related to companion animals. Through his partnership, RTC Associate he published the magazine Dogs Monthly until 2008 and the weekly publications Our Dogs since 1996. He has written four books about dogs with another on Rescue and Re homing currently in production. He devised Dog Directory and created the Eukanuba Rescue Dog of the Year Competition. 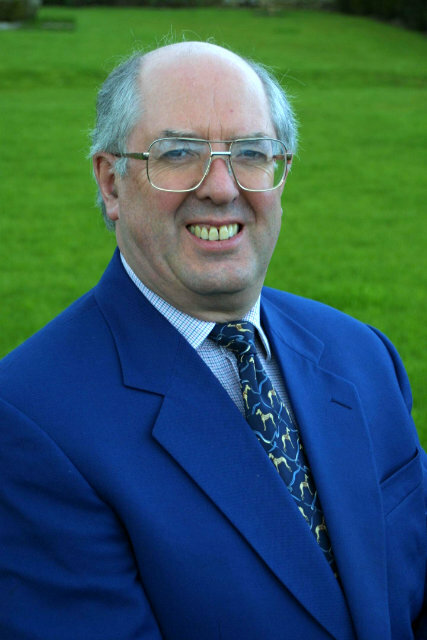 He was a board member of the National Training Organisation for Animal Care for 15 years, represented the Association of British Dogs Homes on the late Lord Houghton’s committee set up to reform the UK’s Dangerous Dogs Act and has been Chairman of the Pet Care Trust where he was a Trustee from 1994 to 2012. He founded the Animal Care College in 1980 and the College now provides courses in most areas and at many levels of animal care. The courses include the training of kennel staff, rescue and re homing staff, judge and breeder education, understanding canine and feline psychology, animal behaviour, the development of kennel management skills and veterinary nursing. As a consultant to the animal care industry he is in demand as an advisor to manufacturers, breeders, retailers, conference and exhibition organisers and show managements as well as being called regularly as an expert witness in cases involving animal care. With his wife, Angela, he was joint manager of Bell Mead, Battersea Dogs’ Home’s Country Kennels at Old Windsor for eleven years so he has also been deeply involved in the world of stray and rescue dogs and cats. Prior to this position he was a director of a major boarding and quarantine kennel that incorporated a large pet store. He first became involved with the world of dogs as a breeder of Finnish Spitz. With his wife he owns one of the U.K.’s most successful breeding prefixes. He is show manager and Chairman of Southern Counties Canine Association, one of the U.K.’s major dog shows, has been vice-chairman of The Kennel Club Breed Liaison Council, a member of The Kennel Club Working Party on shows development and judges training and is President of the British Rottweiler Association. He is a well-known judge in most breeds officiating regularly in Britain and abroad. He is passed to award Challenge Certificates in eighteen breeds across three groups and passed to judge the Working and Pastoral Groups and Best in Show at Championship Shows.